As I said in my Keds post, I have a bit of an obsession with t-shirt dresses. I actually started searching for the perfect one last summer, but just couldn’t find what I was looking for. Most of the dresses I found on my t-shirt dress quest were made with some sort of lycra or a high percentage of spandex. While I am happy with the way that I look, I don’t think lycra or spandex is appropriate to wear while waiting in line to pick up my children from school. I wanted something comfortable, cute and sporty that could take me from grocery shopping to the park with my girls to a casual lunch. I combed through the racks of every store to no avail. Most stores carried more form-fitting versions of the t-shirt dress. I simply wanted a long version of a t-shirt. I finally found what I was looking for at Target! I rarely shop at Target for clothing for myself because I haven’t had a lot of success there in the past. However, the minute I saw the dress on the hanger, I knew it was coming home with me. 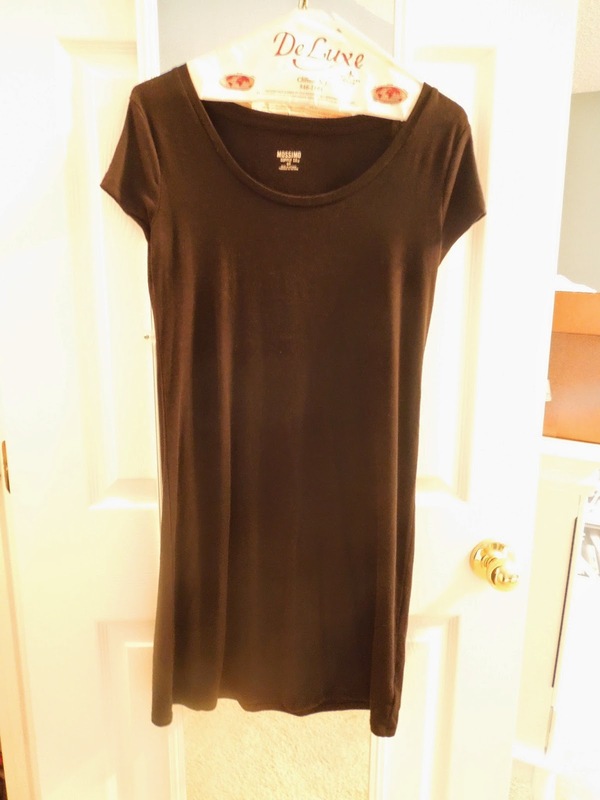 You can find the Mossimo Women’s Knit T-shirt dress at Target for $19.99. It also comes in many different colors such as navy, black, gray, coral, turquoise, red, green and pink.